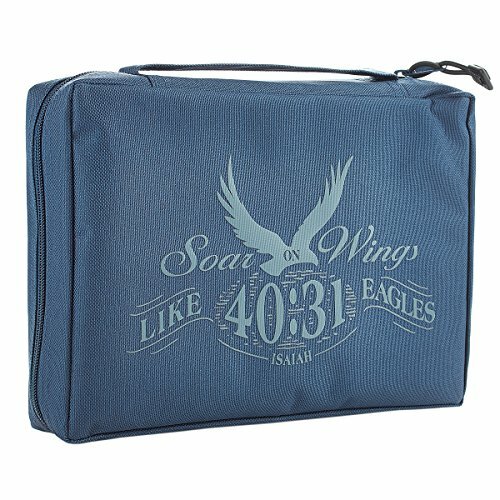 The Cadet Blue Poly-Canvas Isaiah 40:31 Bible Cover earns points for great looks and a great theme. The artistic pictorial Scripture design is screen-printed across the front of the cover. Style features include a slip pocket on the back, a sewn-in carry handle and a black plastic toggle zipper-pull. On the inside, you’ll find a small zippered mesh pocket and a pen loop.